Our rehabilitation specialists have the training, experience, and expertise to assist in your rehabilitation and recovery with a specifically customized rehabilitation plan to meet your unique rehabilitation needs. 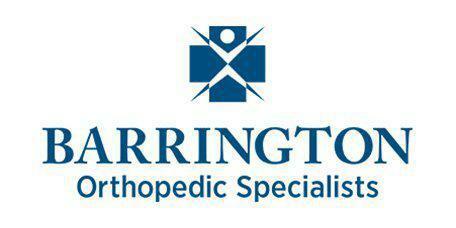 Why Choose Barrington Orthopedic Specialists for Rehab? Barrington Orthopedic Specialists offers comprehensive state of the art rehabilitation services at all four of our locations from many of the areas most qualified rehab professionals. Trained in the latest methods of orthopedic rehabilitation, our team of physical therapists, occupational therapists, certified hand specialists, athletic trainers, and physical therapy assistants specialize in returning you to pain-free function. Rehab services are available at all four of our office locations Monday-Thursday from 7am-8pm, Friday from 7am-5pm, and Saturday from 7 am to 12 pm. To request an appointment online with a Barrington Orthopedic Specialists rehabilitation expert, please use the appointment box or call (847) 285-4200. We look forward to helping you return to the activities that you most enjoy! Design and implementation of a specifically customized rehabilitation plan to meet your unique rehabilitation needs.